Have you ever woken up late for work or school but realize your hair looks and feels greasy as ever? After the invention of dry shampoo, they have come pretty useful in these times. Before dry shampoo, people would use baby powder. As a dark hair individual, baby powder doesn't work as well. 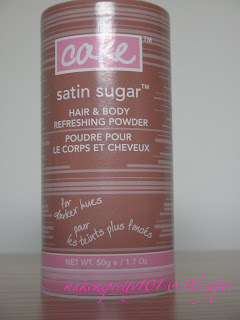 IMO, Cake Beauty's hair powder works better than the Batiste dry shampoo and Johnson Johnson's baby powder but the scent is just too sweet for me. The scent: Like many Cake Beauty's products, this hair powder has a sweet dessert smell. 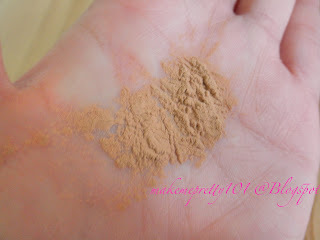 Application: I sprinkle some powder on the hands then rub the powder at the roots. Packaging: The powder is in a cardboard container. Twist the top lid to pour out its content. I find this hair powder works really well as I can rub it in my hair in the morning and still not get any greasy feeling by night. 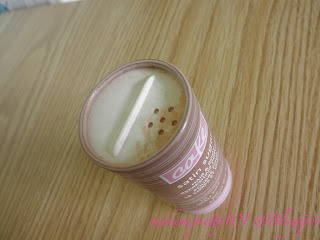 Even though I find it works well, its scent can get a little irritating for me. The scent is too sweet. I wish they made a fragrance-free hair powder.